Revolving Loan Funds are a popular economic development tool, delivering high risk capital to projects that cannot be financed by conventional sources. Loans are generally used as gap financing where the existing bank financing and equity available are not sufficient to meet project costs. The aim of the TCAD Loan Fund Program is to create quality employment opportunities by helping entrepreneurs start new businesses, expand current operations and attract businesses to Tompkins County. The TCAD Loan Fund Program is targeted to businesses selling a product or service to customers outside of Tompkins County. Businesses primarily selling products or services locally are considered if the business can demonstrate it will not compete with other local businesses and it will create or retain permanent full time jobs. In 2009, TCAD expanded the Program to deliver assistance to high tech start-up companies using a quasi-equity investment model to better serve the needs of early-stage companies. Since 1989, TCAD has loaned $2 million to 57 companies that have created over 900 jobs. TCAD can help connect you with the right loan for land, building, working capital, machinery, or equipment. TCAD Loan Program Policies are available here. Founded in 1998, Ithaca Beer completed its first major expansion in 2012, building out a new 16,000 square foot brewery with an adjoining taproom and restaurant. In 2015, Ithaca Beer started a second major expansion, doubling its space with an addition of 24,000 square feet. 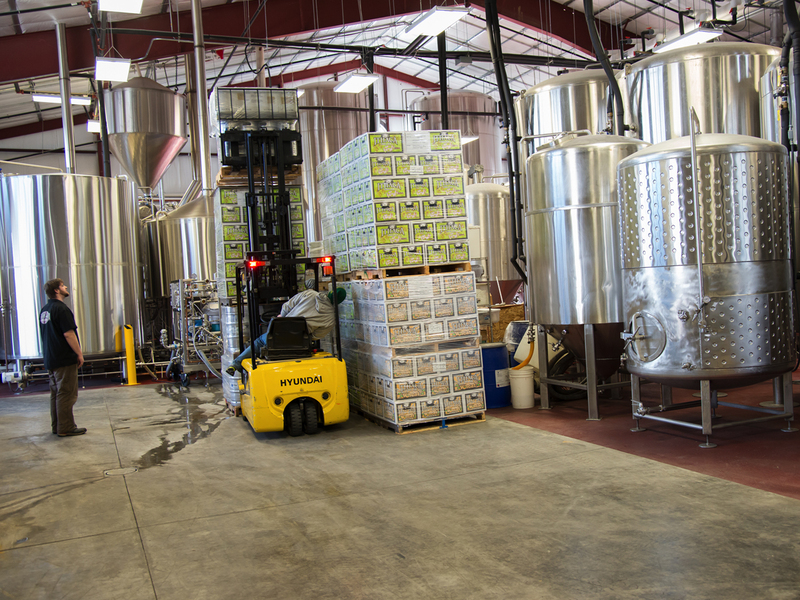 The expansion created additional room for new fermentation and conditioning tanks and a new state-of-the-art automated bottling and kegging system, increasing capacity to brew over 90,000 barrels of beer per year. iFyber is a contract research and technical services firm that develops customized test methods for the medical device, biopharma, diagnostics and regenerative medicine industries. iFyber’s success is predicated on having highly skilled technical staff with strong communication skills. Founded by students at Cornell University in 2012, Rosie has quickly gained traction in its markets. Rosie was founded to, “provide a fantastic shopping experience for each of their customers,” said CEO Nick Nickitas. Rosie is a platform that allows consumers to shop online for groceries at their favorite local stores. The company is appealing to many consumers because it offers convenience and ease of use. The retailers they work with enjoy the insights their unique algorithms provide. A $103,500 loan to Concept Systems, a woman-owned business that provides on-site and web-based software and consulting services used by organizations for consensus building and decision-making. Headquartered on the Ithaca Commons, Concept Systems is redesigning and upgrading its on-line software platform to increase functionality. and increase the reuse of used materials. From the Ithaca Farmer’s Market to its retail space on Franklin Street, The Piggery is a value added; artisan meat process selling a line of premium pork products. Raising heritage breeds of pigs on their farm, they then turn their pastured pork into world-class charcuterie. The Piggery has found great success in growing their business in Tompkins County. In 2013, The Piggery began the renovations to upgrade their Franklin Street retail space to a USDA inspected production facility, enabling them to enter the wholesale marketplace. An Ithaca food startup, Grainful produces a line of all-natural, frozen entrees centered around steel cut oats. Grainful is committed to bringing the wholesome goodness of steel cut oats and clean natural ingredients to lunch and dinner. Heart healthy steel cut oats are the perfect grain and great in every meal! Pairing the grain with flavors from around the world, Grainful aims to create a brand new category in the frozen food section.